Robert Chuey is an eDiscovery industry veteran who brings a consultative approach to every engagement with a goal of aiding LSP’s clients in maximizing benefit and reducing cost. Robert has consulted on eDiscovery projects for large international law firms, pharmaceutical companies, international franchisors and major product and services corporations. Robert was originally from the Midwest before moving to the East Coast and is now a resident of Washington, DC where he enjoys following college basketball, working on his golf game and socializing with friends and family. With a three decade track record of sales leadership and service Robert’s goal is to ensure every client experiences unmatched, direct hands-on service. His unique ability to anticipate the needs of his clients to meet the demanding objectives of the litigation support industry provides a keen advantage for LSP Data Solutions clients. 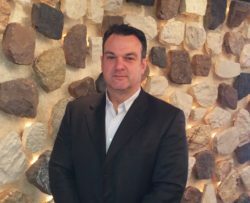 Shawn Huston is one of the leading experts on eDiscovery and data technology in the United States. His expertise spans more than twenty years of hands on application of data analytics, processing, project management and linguistic search practices for countless Fortune 500 and AMLAW 100 clients. 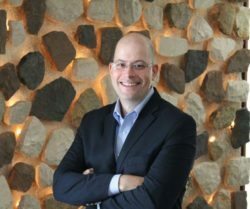 Shawn’s project experience comprises noteworthy matters including the Enron bankruptcy litigation, WorldCom and Adelphia fraud cases, Wall Street Ponzi schemes, Northwest-Delta second request, United-Continental second request, Mesothelioma MDL, Verisign anti-trust litigation and others. Shawn has innovated new workflows in the area of automated speech-to-text in the development of text based searching of multi-media data in an eDiscovery workflow. He also spearheaded the ability to extract text output and leverage machine learning to improve output results by over fifty-percent. Shawn has led SCRUM teams in technical considerations related to unstructured data parsing specifications as well as the application of NLP search functionality in review database applications. His dedication to seeking more efficiency led him to develop GPS enabled mobile technology to facilitate the streamlined delivery of social services to impoverished communities in the United States. Created custom review workflows for a product liability class action to allow plaintiff counsel to identify the most critical documents to achieve a beneficial settlement. Shawn has written numerous works on the subject of eDiscovery technology and EDRM workflows. He has participated and led continuing legal education discussions on topics such as cyber-security, bring your own device policies (BYOD), data collection procedures and cutting edge search and analytical techniques. His passion for data privacy and artificial intelligence is a driving force behind LSP’s expert services and technology infrastructure including the introduction of semantic search functionality. Shawn is a native of Boston, Massachusetts and currently resides in Philadelphia with his wife Nikki Johnson-Huston, Esq. where he enjoys exploring Artificial Intelligence and machine learning technology advancements, philanthropic endeavors and traveling. Thomas J. Sands has over 25 years of experience in investment management, investment banking and entrepreneurism. He is LSP’s founding investor and serves as a Board Member and Financial Advisor. Tom’s financial career has spanned working at a large international bank, as a Managing Director at Credit Suisse, as well as smaller boutique firms specializing in middle-market and later-stage growth companies. He also previously founded a hedge-fund management company, Mallet Capital Management, which grew to peak assets exceeding $200 million. In addition to his role with LSP, Tom invests in and operates nationally-branded franchise concepts. Through that activity, he is currently a member of the Supercuts Council and Supercuts Franchise Association Board. Tom graduated from New York University in 1989 with an MBA in Finance and from Columbia University in 1986 with a B.S. in Mechanical Engineering. He has served on several private company Boards of Directors and on the Board of Advisors of Columbia University’s School of Engineering. A native of New York City, Tom now resides in Vermont with his wife and their two sons. He enjoys outdoor activities across all four seasons and is restoring a classic TVR Vixen.